Tell me if you’ve been here: it’s your email inbox dinging because you’ve received yet another version of your best friend’s resume. You open up the file—resume new 2016 (13).docx—and make a mental note to suggest she change the file name to something she’ll want her future boss to see (maybe name-resume-year). Inside, you find that she hasn’t taken many of your previous suggestions, but she has added a yellow banner to the top and squeezed in yet another line in the job experience section. How can one little sheet of paper (or, more likely, page on a screen!) cause so much stress? 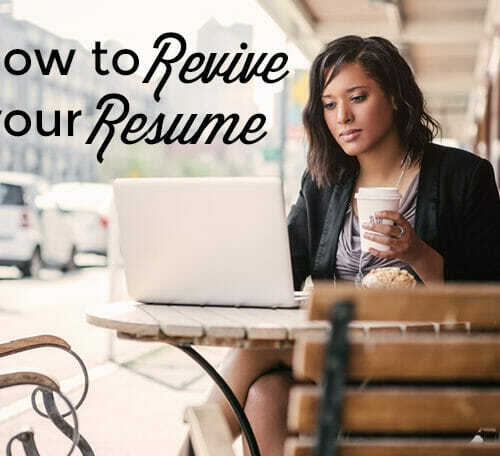 Maybe it’s the fact that you’re trying to force all the most impressive aspects of yourself onto a tiny white rectangle, or the fact that, like it or not, resumes are one of the most important elements of the job search, second only to the intro email. And I can speak from experience. At a small digital company, when I’m sorting through potential hires, you can bet I don’t spend a lot of time opening up PDF cover letters. After I’ve skimmed the most eye-catching (often the shortest!) emails, I’ll start diving into resumes. The statistic that recruiters spend only about 6 seconds per resume gets tossed around the Internet quite a bit, and I find it pretty believable. I definitely don’t give every resume I receive a thorough read. I skim the top of each section before deciding if I’d like to email the candidate about an interview. And at larger companies, where hiring managers and recruiters sort through hundreds (or thousands) of resumes, what you fit on that document can be the difference between being categorized in the “phone interview” bucket and the “delete” bucket. After going through a few rounds of hiring, I gathered together some of the top qualities that can make or break your resume. Psst! 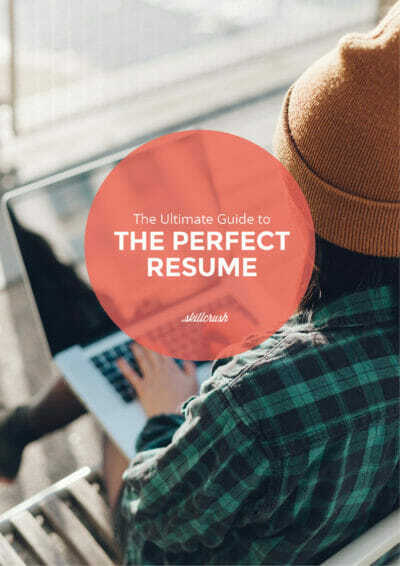 For a 40+ page comprehensive guide on updating your resume, complete with free templates, download our free ebook, The Ultimate Guide to the Perfect Resume. It’s gotten real people the interviews they were after! When I first started looking for jobs out of college, I thought that I could draft my resume, take it to the career lab (or send it to my friend) for review, and start sending it out with my applications. But in reality, an employer doesn’t care how accomplished you are in general or across the board. She wants to know what work you have done and what skills you have that make you qualified to solve her problems. And if you think about it, one resume can’t prove that you are the very best applicant for every single job you apply for. 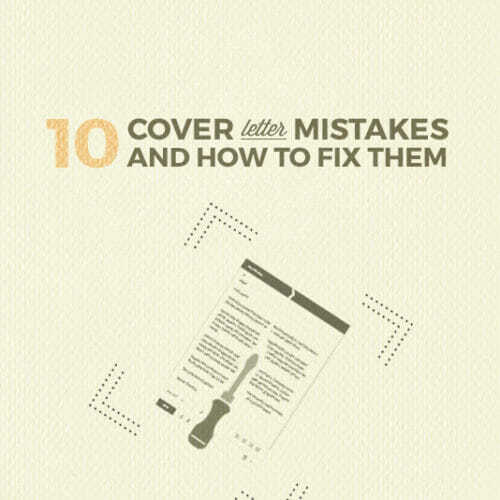 Even if writing just one resume saves time, it pays off to cater your resume to the specific job you’re applying for. Now, you might want to keep a few versions of your resume in your back pocket—for example, maybe you have a resume you use for applying to more technical jobs and another you use when you’re applying to jobs that focus more on marketing. Still, for every position you apply for, take a look at your resume and ask yourself: What is the most important information on here for the specific job I’m applying for? You may end up totally rewriting your resume for different jobs, or you might just make small tweaks, like switching up the order of things. In addition to writing your resume specifically for the job you’re applying for, knowing who is actually going to read your resume can be a game changer. Is she your direct supervisor, or is she higher up at the company? Does she work in your industry, or is she hiring in another field because she knows she needs help? Is she tech savvy? The answers to these kinds of questions will tell you if you should emphasize how great you are to work with, how well you can lead a team, the specific skills you know, or just the data behind how effective you were in your last job. They’ll also give you an idea of how much industry jargon to include (or not), but we’ll get to that later. To break it down a little more, someone you’ll be working with directly might want to know the specific skillset you have and how you’ve used it on teams in the past, whereas the CEO might be primarily interested with how much you increased revenue. The differences might be subtle, but it’s good to have a reader in mind so you know who you’re trying to impress. To figure out who is going to read your resume, look to: the author of the job listing, if applicable, and take a look at the company structure (if it’s posted online) to see who you think you would report to in the role. And if you’re really stumped, assume that your reader is less familiar with the specifics about your work and really spell out how valuable you’ll be to the company. This one is basic, but so difficult. It’s easy to try to fit everything you can into your resume by using a tiny font size and stretching out the margins, but hiring managers will see through that…if they look at it at all. Nothing makes you close a file faster than seeing a giant wall of text, so don’t ask a hiring manager or recruiter to read your autobiography squeezed onto one page! Besides, if you are catering your resume specifically to the job at hand, you shouldn’t have as much trouble keeping what you include down to one comfortable page. 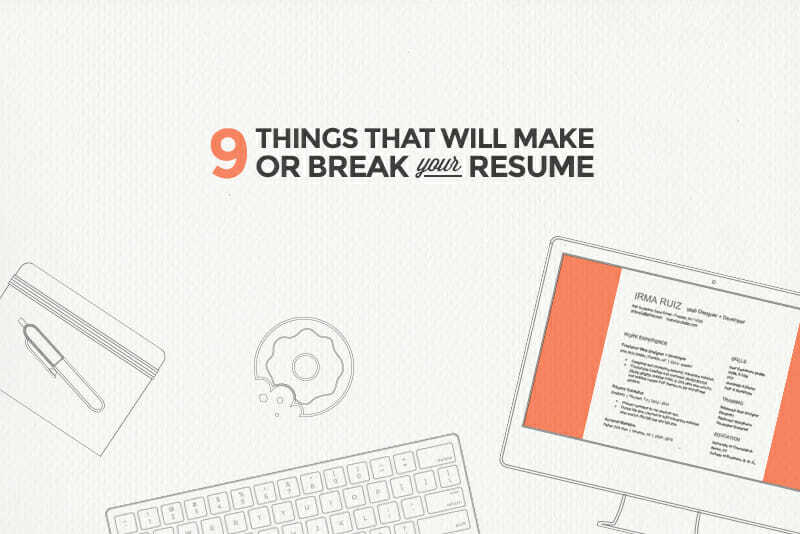 If you’re still struggling to pare things down, check out these 22 Things to Remove From Your Resume Immediately and start exercising that delete button. 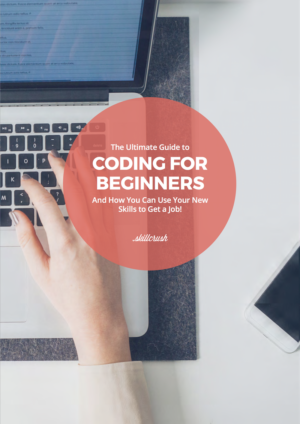 Just like it’s important to hone down your resume to the most necessary information that can prove you’re perfect for the job, fine tuning that “Skills” section is crucial—especially if you’re transitioning into a new career, like tech. 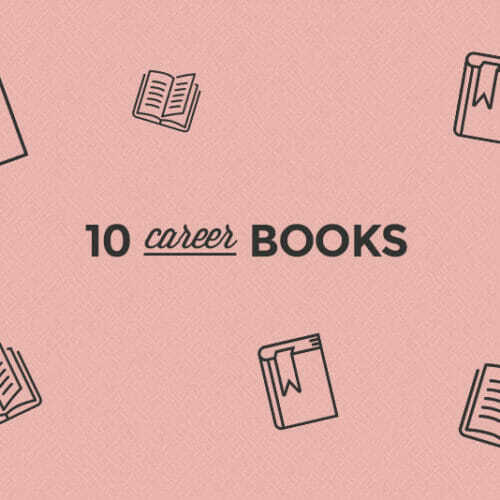 Instead of cramming everything that might be considered a valuable skillset into that column or section (don’t look at me like that—we’ve all done it), be selective. Putting outdated or inapplicable skills on your resume doesn’t make you seem super qualified—it makes you seem like you don’t understand what’s required in the role, or even in the industry. It’s better to have a few skills that mean you’re perfect for the job than 12 that pad your resume or make you seem like you’re not clued in. Looking back at who is going to be reading your resume will help you determine how much industry vocabulary you can expect the reader or interviewer to know. But considering the fact that you might not be able to figure out who is going to read your resume (and it might be a bot! ), it’s best to avoid jargon and opt for language that would work if someone outside your industry picked up your resume. For example, instead of saying you “specialize in B2B marketing,” perhaps you’ll need to spell out that you hold a B2B marketing role where you build partnerships with other brands and persuade them to try your product. Protip: Spell out acronyms and abbreviations wherever possible! Sorry to be crude, but just because a resume is a professional document, it does not need to adopt corporate speak. You know what I’m talking about: referring to yourself as a team-player or results-oriented is a good sign you’re just padding your resume with words you think the reader wants to see. Instead of doing that, use up space on your resume demonstrating who you are and what you can do. For example, instead of saying you’re a perfectionist, link to a complex project you really aced. Or instead of calling yourself a leader, describe the team you led and what you accomplished. There’s room for anecdotes in your cover letter, so if all else fails, simply delete tired terms like these and leave a little white space. Most resumes tend to follow a set structure: your contact info at the top, then your education, then your work experience, then your skills. And while this might work for you, it’s worth reconsidering. The information at the top of the page is what people look at first, so you should use that prime real estate for the most important and impressive information. Maybe that is your education, but even if you’re just finishing your studies, it’s possible that your employer will be more concerned with your internships than your major. And if you’re working in tech, it’s almost guaranteed (unless you have a personal connection with the employer through a specific school), that the hiring manager will care more about your skills and experience than where you went to school for Art History before learning to code. 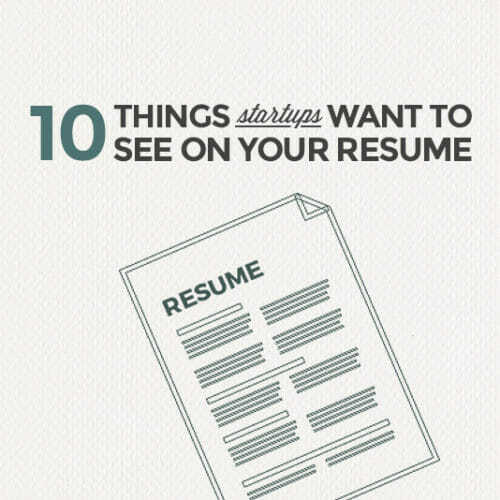 So don’t think you have to stick to the traditional resume structure. Try listing your experience first, or even adding a second column so that your skills and your work history can share the most eye-catching part of the page. YOU have control over what your potential employer notices about you. Don’t bury what you’re most proud of at the bottom of the page—showcase it at the top, where she’ll see it in the first few seconds! Here’s a 2-column template to give you an idea of what this can look like. Get the template and much more in our free ebook, The Ultimate Guide to the Perfect Resume! Writers use the term “kill your darlings” to describe the particular feeling of cutting something you have a personal soft spot for. The problem? It doesn’t benefit the story. It’s extra. The same thing can happen on your resume. Sometimes you find yourself holding onto tidbits because you like them, or you’re proud of them, but they aren’t even tangentially related to the job you’re applying for. To make it easier to “kill your darlings” on your resume, tell a friend about your plan to cut everything extra, and have HER take the red pen. If you can’t defend what she wants to cross off, let those pieces go. Remember, in a world where the job search is digital, removing something from your resume doesn’t mean it’s gone forever. Try including it on your LinkedIn, portfolio, or personal website. This point is minor compared to some of the others, but if you’re worried about accounting for gaps in time, I have a solution for you: don’t put the exact dates of your employment on the resume. I’m not suggesting you lie or stretch the truth, but I am suggesting that instead of putting “May 2013–September 2014,” you just go for “2013–2014.” It saves space and doesn’t ask the reader to do too much calculating. Besides, if she has questions about the precise dates of your employment or any gaps in time, she can ask about them in the interview, where you’ll have the space to explain the gaps in your own terms. For more actionable tips for perfecting your resume, download our ebook, The Ultimate Guide to the Perfect Resume. And if you’ve got the resume down but are looking for more advice on the rest of the application process, read up on avoiding these common job interview mistakes, and learn what not to do in your cover letter if you want to get hired faster. Great blog post. A few things i would like to contribute is that pc memory is required to be purchased if your computer can no longer cope with everything you do with it. One can deploy two random access memory boards containing 1GB each, for instance, but not one of 1GB and one with 2GB. One should check the company’s documentation for one’s PC to make certain what type of ram it can take.